Funky paper cups from the distinctive Showered With Love range, made from high quality materials and featuring a cool design. 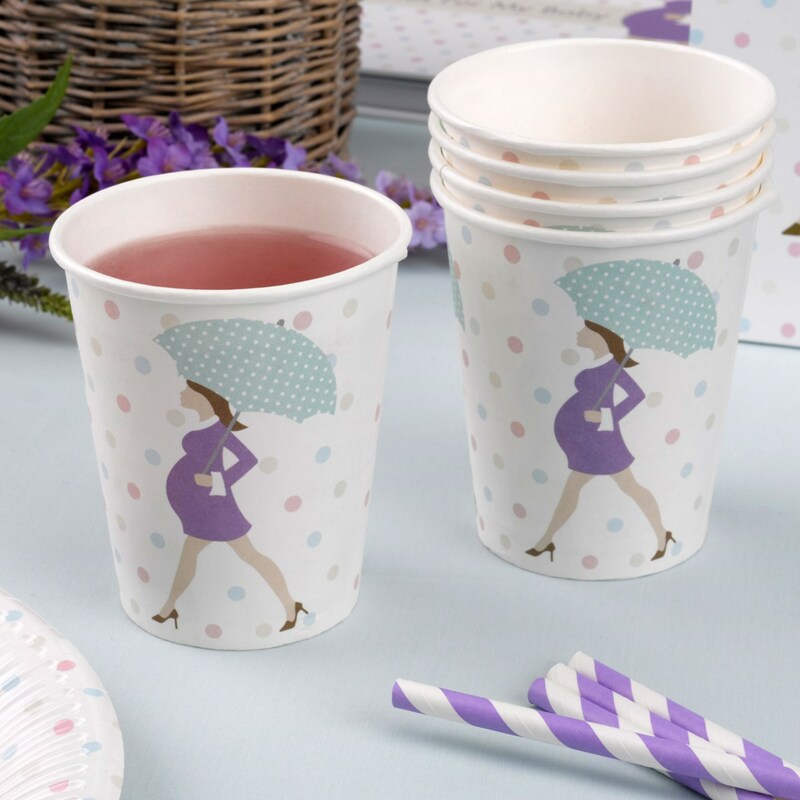 Featuring multi-coloured polka dots and a stylish mum-to-be illustration, these cups are a great way to bring some colour to your party table. Each pack contains 8 Paper Cups.